Heavy snow takes hold in countryside around Henley-on-Thames in the 1960s. A view taken in the 1960s of countryside near Henley. Where? 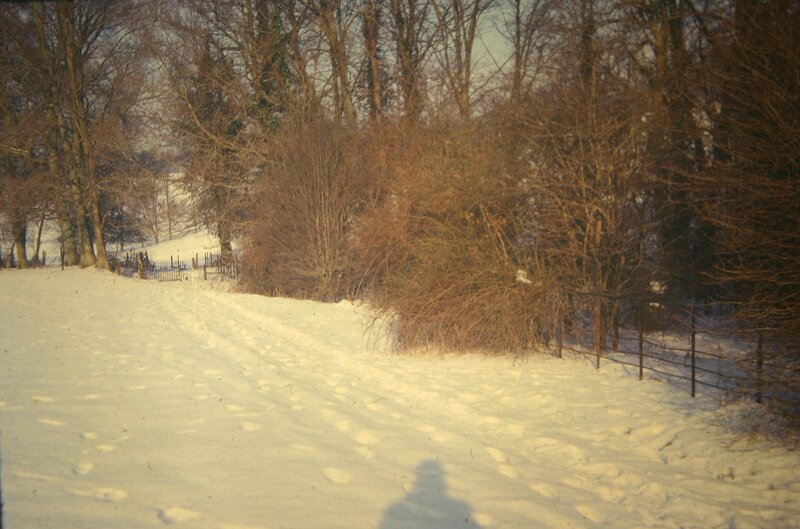 A view taken in the 1960s of a public footpath in countryside near Henley. Where? A view taken in the 1960s of countryside near Henley. A view taken in the 1960s of countryside near Henley looking towards cottages. A view from the woods taken in the 1960s of countryside near Henley. A view taken in the 1960s of countryside near Henley looking towards the playing fields of Henley Grammar School. A view taken in the 1960s of snow covered countryside near Henley with the sun rising/setting (?) in the distance. A view taken in the 1960s of snow covered countryside near Henley. A view taken in the 1960s of countryside around Henley looking towards the town. The allotments on the left is now Leaver Road and the building is the old town gas bottle.